Pyeongchang2018 has completed the destruction of the primeval forest which has stood on Mount Gariwang for hundreds of years to make way for the Alpine Downhill ski event which will last for all of three days. Destruction at Mount Gariwang This act and its unbelievable criminality have gone almost entirely unreported and unremarked in the world’s media. It is a measure of the hypocrisy and ruthlessness of the various organisations involved, the International Olympic Committee, the International Ski Federation, POCOG (Pyeongchang2018 Organising Committee), the South Korean Government and its provincial authorities, that all have protested their concern for the environment even as they have trashed this ecological jewel. 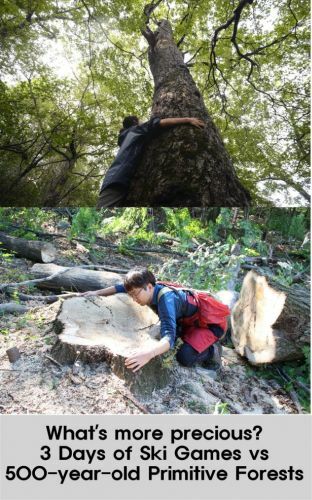 Just after it had begun its destruction of this forest the South Korean government hosted the XII Conference of the Parties to the Convention on Biological Diversity (CBD COP12) and Pyeongchang, Gangwon Province, was the venue for the Convention. The participant Parties were to bring forward national action plans to achieve the ‘Aichi Biodiversity Targets’ by 2020, which are designed to tackle the causes of biodiversity loss and improve biodiversity status by safeguarding natural habitats and ecosystems. 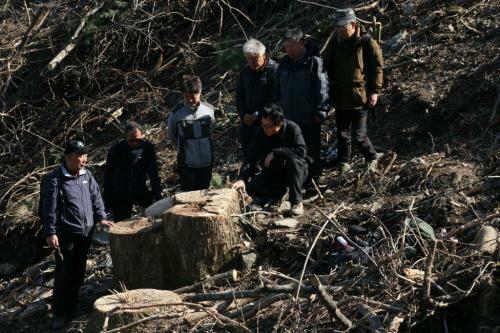 Ridiculously, the participants then adopted the ‘Gangwon Declaration on Biodiversity for Sustainable Development’ just as this vital biodiverse ecosystem was being cut down on their very doorstep! "The preparation for the Olympics can only be called intolerable barbarism," he said. "Wetlands of international importance have been destroyed in the Imeretinskaya Lowland. The territory of the Caucasus State Reserve, which was thought to be untouchable, has been damaged. The Mzymta River has been ravaged. And this is just a small part of what is going on there." 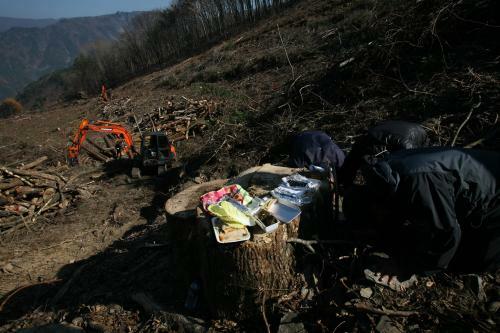 After an initial felling in August, which was stopped after protests by environmental groups, the Gangwon provincial government pushed ahead in September with a massive, unlawful felling at the Ha-bong (‘bong’ means a mountain top) slope construction site on Mount Gariwang. The Games are being held in Gangwon Province some 150kms east of Seoul. When I arrived at the site on 27th September with a group of Korean environmental activists I witnessed the full extent of the criminality committed on the sacred Gariwang mountain. A huge area on the top of Ha-bong had been shaved and large trees with a trunk diameter of over 1 metre had been cut down and moved away. Right after the massive felling, which began on 17th September, a team including staff from the Wonju Office of the Ministry of Environment and POCOG along with representatives from environmental groups, the Good Friends of Nature-Korea and Green Korea United, visited the site, as ordered in the 'EIA', to check that the contractor was carrying out the promised 'transplantation'. This transplantation had been promised by the government as part of its programme of restoration to overcome the opposition of environmental groups to the desecration of Mount Gariwang. Some environmentalists, notably the Good Friends of Nature, had remained unconvinced by the idea that the forest could be restored and continued to oppose the project and in the run up to the felling a coalition of environmental groups had protested at the inadequacy of the transplantation programme and called for the downhill event to be moved and Mount Gariwang to be spared the devastation they feared would befall it. What the civil society representatives found was completely outrageous and exceeded their worst expectations. The Wonju District Office of the Ministry of the Environment had issued ‘Recommendations Co-discussed with Gangwon Provincial Government’ in August which stated: “prior to the felling work, there must be: a panel of experts by discipline area; a completion of re-evaluation and marking of the trees to be transplanted; an advanced transplantation of the shrubbery and herbaceous flowers; an accompaniment by vegetation experts while the felling takes place”. However, the promised ‘transplantation’ was not being put into practice and there was not a single ‘expert’ on site to oversee the work as stipulated by the Ministry of Environment. Mount Gariwang, which has been described as an ‘Ecological Ark of Ancient Forest’, is not just important for its flora and fauna. It is one of the most important mountain areas on the Korean peninsula, historically, culturally and ecologically. On the National Forest marking stone at the top of the mountain there is a legend that the name of Gariwang is a modification of 'Gal Wang'. The legend says that King Gal took refuge in a temple on the mountain, 'Seoshimtoe’, now in ruins. King Gal was believed to be either a King from ancient China or a king from the old tribal kingdom 'Maek guk'. The 'Maek' inhabited the central and northern parts of the Korean Peninsula and southern Manchuria and a branch of this tribe created the Korean Kingdom of Goguryeo (BC 37-668) in that region, the largest of the 'Three Kingdoms' of Korea (from 1st Century BC to 7th Century AD). The mountain was called 'Gal Wang san’ (Gal King mountain) and the sound was slowly changed to today's 'Gariwang san'. 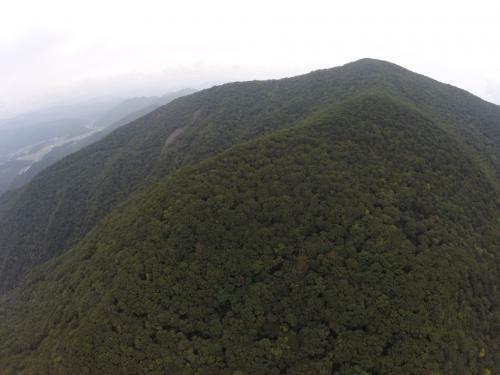 In modern times the Korean Ministry of the Environment designated this mountain as an ‘Ecosystem Preservation Zone’ and the Forest Service Korea, as a ‘Protected Area for Forest Genetic Resource Conservation’. 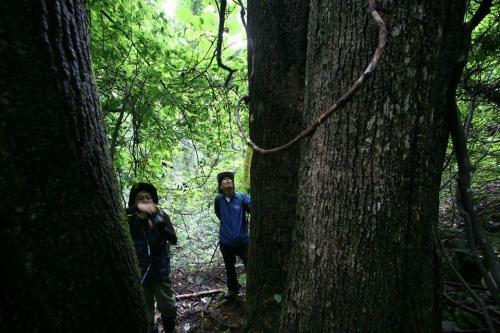 In addition to its top-quality jinsaeng, Panax ginseng (Koean Ginseng), Mount Gariwang is home to tens of thousands of large-size, climate change-vulnerable coniferous trees such as Taxus cuspidata (Japanese Yew), Thuja koraiensis (Korean arbor-vitae), Abies holophylla (Manchurian Fir), Abies nephrolepis (Khingan Fir) and Oplopanax elatus (Tall Oplopanax). 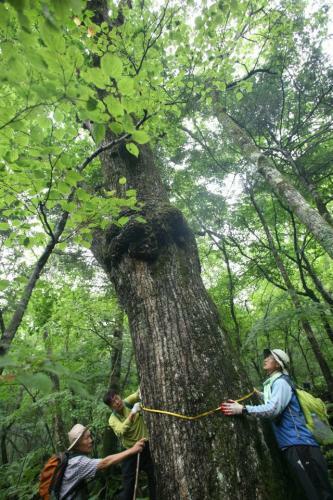 Also abundant in the forests of Mount Gariwang are rare big trees with a branch diameter of over 3.0cms such as the largest plantation of the hybrid Betula ermani var. 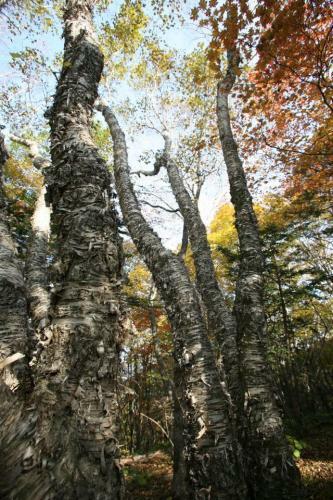 ganjuensis (Ganjuan Birch), which is known as Wangsasre in Korea and is unique to the Korean peninsula, the endemic Quercus mongolica (Mongolian oak), Kalopanax septemlobus, and the Prunus maackii (Manchurian Cherry) that boasts the most beautiful bark in the Northeast Asian Region. 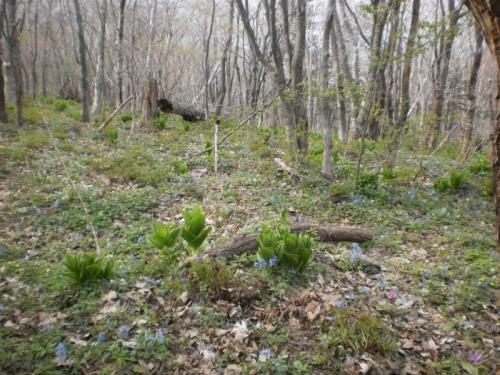 The habitat in the construction zone contains the Allium Microdictyon (Long-root Allium) and Aconitum Coreanum (Corean Aconitum) and very rare endemic plants such as Viola Diamantica and Hanabusaya Asiatica (Diamond Bluebell) which are listed by the Forest Service Korea as ‘rare endemic species’. Thuja koraiensis is listed as ‘vulnerable on the IUCN (International Union for Conservation of Nature) 'threatened’ 'Red List', while the first three and Panax ginseng, along with Allium microdictyon (Long-root Allium) and Aconitum coreanum (Corean Aconitum), are categorised as ‘vulnerable' or 'near threatened’ on the List of Korea's Rare Plants, published by the Korea National Arboretum in 2009 based on the IUCN's Threatened Species Criteria (2001). Ha-Bong forest (photo by Rebecca Kim) Viola Diamantica and Hanabusaya Asiatica (Diamond Bluebell), although lifted from 'Endangered' status in 1998, still remain as 'Rare endemic species' on the same list. Mount Gariwang is also one of a kind as a habitat for a wide variety of mammals, one of which, the Eurasian otter Lutra lutra, is described as ‘near endangered’ on the IUCN (International Union for Conservation of Nature) ‘Red List’. Other species which are considered ‘vulnerable’ according to the Red Data Book of Endangered Mammals In Korea, published by the Ministry of Environment Korea in August 2012, include the yellow throated marten Martes flavigula, the leopard cat Prionailurus bengalensis and the Siberian flying squirrel Pteromys Volans. The Asian badger Meles leucurus is listed by the Ministry of Environment as ‘near threatened’. 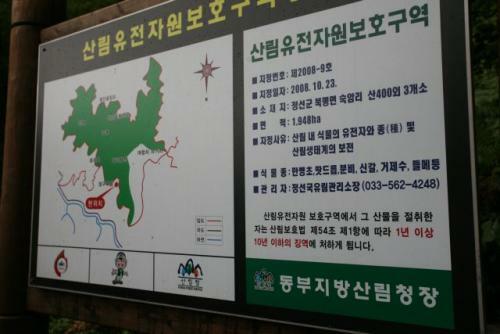 The scandal which unfolded when the bid for Pyeongchang2018 was conceived saw this protection withdrawn to enable this part of the forest at Mount Gariwang to be destroyed to make way for the downhill event. 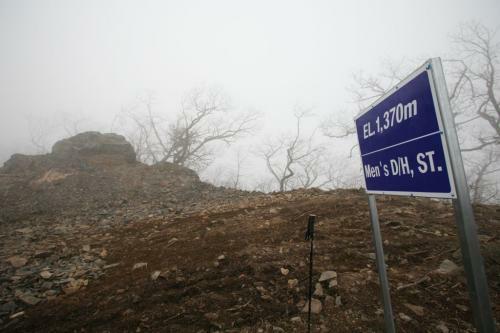 It turned out in December 2011 that Gangwon Province and POCOG had never even tried, from the time of the first bid in 2001, to make any ‘prior’ location assessment or relevant outsourced report before they decided and tendered to the IOC evaluation panel that there should be a new complex of Alpine Ski competition slopes and facilities at Mount Gariwang. The ‘restoration’ plan is also vacuous because the Gangwon Provincial Government has no specific practicable ‘restoration’ plan other than hoping for ‘natural succession’, in other words it hopes that by ‘leaving it as it is it will return naturally to what it used to be’. 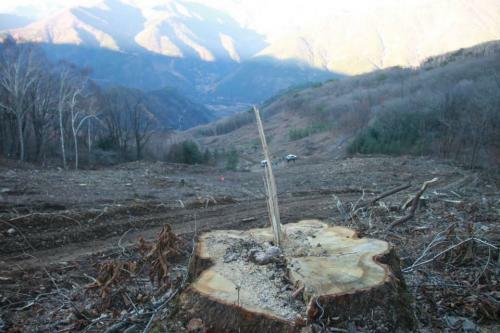 This utterly irresponsible attitude is itself a serious breach of the condition of the construction clearly stated in the ‘Plan of Conservation and Restoration of Mount Gariwang, and of a Partial Lifting of its Designation as a Forest Genetic Resource Conservation Zone afterwards’ that was passed by the Forest Service Korea in May 2013. It states that “After the Olympics the ski slopes should be restored into their original state and returned to their original ‘Forest Genetic Resource Conservation Zone’ status”. The deception practised by the central and provincial governments is further demonstrated by the failure to allocate responsibility for meeting the costs of the restoration. 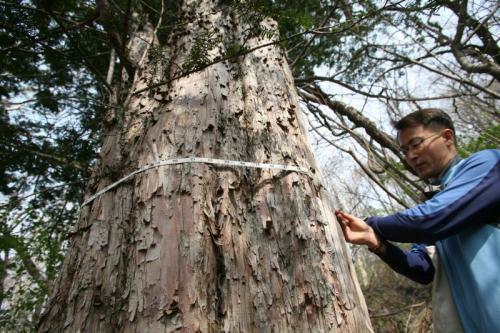 The budget for the ‘ecological restoration’ is calculated to be about 108.1 billion won (around £63m) for the total destroyed area of 525,800sqms, the ‘forest of 9th degree on the Green Naturality scale’. Gangwon Province is scheduled to build a 12,000 spectator-capacity Alpine Ski competition venue with a budget of 109.5 billion won on an area of 1,837,291sqms at Mount Gariwang. So according to the plan, the ‘restoration’ will require almost the same budget. However, the budget for the restoration has not been made the responsibility of any of the various bodies involved in the project. The ‘Special Act’ to support the 2018 Olympics does not make mention of the restoration project although it states the Korean government must pay over 75% for the construction of the facilities. The Ministry of Environment, the Forest Service and the Ministry of Culture, Sports and Tourism, which is in charge of the Olympics, are passing the buck from one to another. Gangwon Province is insisting that the money should be handed down from the central government, since they have the money to pay for the restoration. The reality is even this absurd restoration may not be attempted as both Gangwon Province and POCOG have stated at different times that they would rather ‘develop’ than ‘restore’ the construction site into another full-fledged ski resort after the Olympics are finished. What's more precious? Alternatively a 1-RUN course could have been created by adding a 100m-long artificial slope onto the existing ski slope in Yongpyeong Resort while an even better alternative exists at Manhang-jae, which is a mountain peak with an elevation of 1,450m above sea level and which would allow a 4km slope and a vertical drop of 900m from the top to the township Gurye-ri located 630m above sea level. This would easily satisfy the course condition of any Alpine Ski competition. The Haiwon Resort right next to Manhang-jae already contains an international-standard ski course, a condominium and hotels complex and a convention centre. Manhang-Jae (Photo Green Korea United) Manhang-jae is the most viable alternative and has been continually presented to Gangwon Province and POCOG construction by environmental groups and even by the Korea Forest Service as the ‘ground for objection’ to destroying Mount Gariwang for the ski slope, an alternative which Gangwon Province, the POCOG, the FIS and the IOC have flatly dismissed. As is so often the case with sporting mega-events like the Olympics such wisdom was too much to hope for. Submitted by Julian Cheyne on Sat, 22/11/2014 - 00:56.